Gaibledon project is the ambitious dream of Tennis Club Gaiba born in 2012, located next to the river Po at 20km from Ferrara. 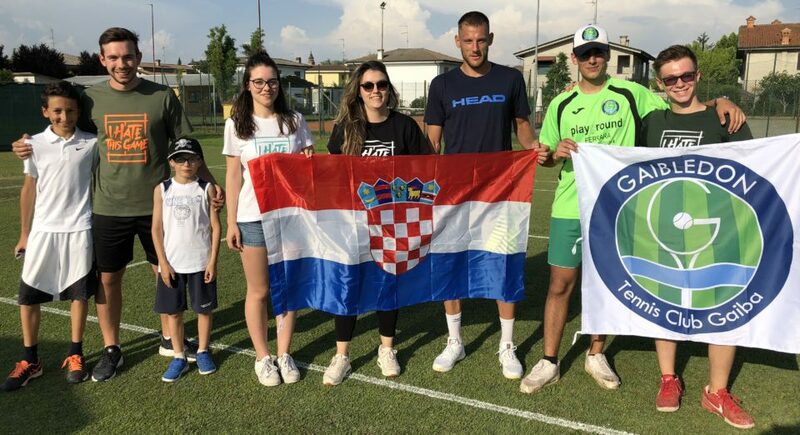 The 4-tennis-grass-court center is the only one in Italy, approved by the Italian Tennis Federation (FIT), that hosts every summer hundreds and hundreds of players. The Tennis Club Gaiba dream is to host professional players for training on grass tennis courts before Wimbledon tournament. Every year we host amatorial tournaments and one pro competition: female OPEN – 5000€ prize money that welcomes also foreign players. In 2017 Corinna Dentoni (#132 WTA in 2009) won the ENEL OPEN. In 2018 Alberta Brianti (#55 WTA in 2011) won the PLAYGROUNDS OPEN. Our motto is: “If You can dream it, You can do it” Enzo Ferrari.